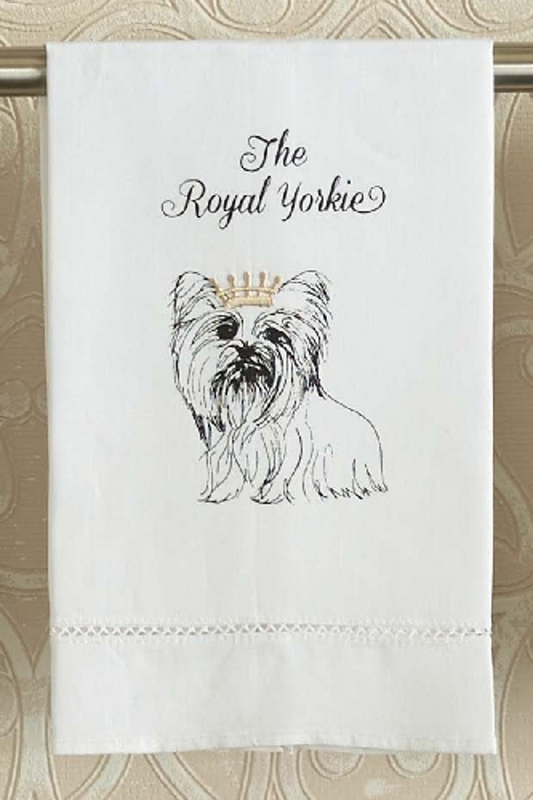 Royal Breed washable kitchen towels features pen and ink renderings of AKC dog breeds. 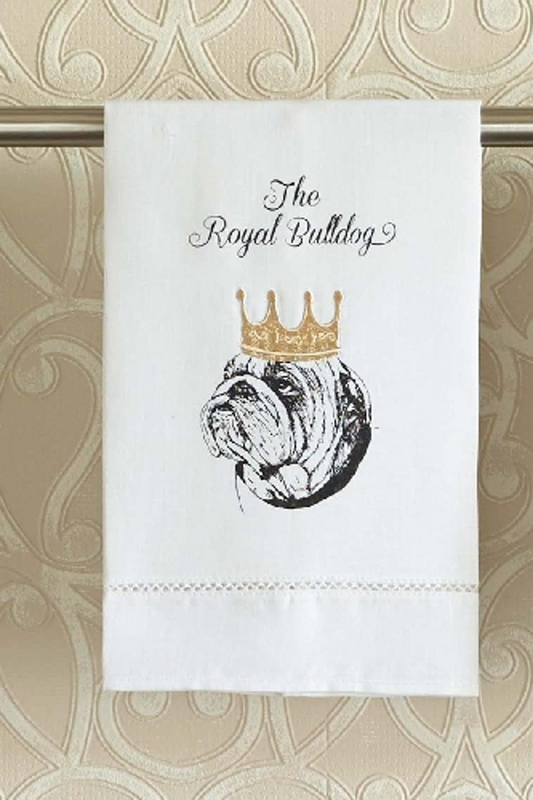 Each topped with a metallic gold crown and identified witha a "Royal" moniker. Choose one that best fit your home and your pet! 21"x14"